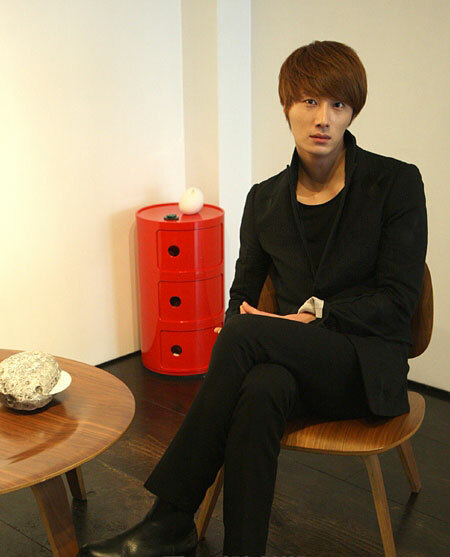 Recently, reporter of TV Daily was fortunate enough to interview the Jung Il Woo who is starring in Flower Boy Ramyun Shop (Cool Guys, Hot Ramen). The lead character in Flower Boy Ramen Shop, Cha Chi Soo is perfect, he who is third-generation chaebol has superior appearance and indifferent personality that let female flocking to him, gathering all advantages in one body. But such a him also has something that cannot be resolved. When facing with woman he loved, Yang Eun Bi (Lee Chung Ah), he does not know how to express his feeling, but sometimes also awe her with boldness, the ever changing image attracted the attention of many viewers. The double-sided personality also prominently shows the different of charm for Cha Chi Soon. The kiss scene of Jung Il Woo and Lee Chung Ah has become a focus of the crowd, it's reported that one of the kiss scene took a long time to shoot, "Many NG, director prefer to capture a variety of angles, so the filming took a long time. Actually it's not a deep kiss, just the level of light kissing, there were fans who said they're shocked, NG for a total of 5 times, definitely was not intentional, ha ha." The plot of TV series has a reversal after the fact of Jung Il Woo and Lee Ki Woo are half-brother came to light, "Actually it's essential element for all mass TV series, our show is very direct and frank, pretty good right." Flower Boy Ramen Shop is a hot-blooded youth drama series, heroine wandering among the many handsome boys, falling into the choice of happiness. 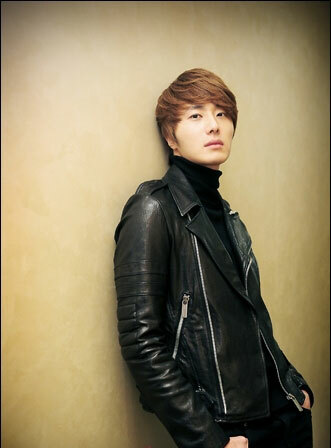 Now Jung Il Woo is still enjoying this kind of lead role in youth drama series, "I actually have already been more than 20 years old, and I appreciate the role that suitable for my age, time passed very fast, still feel like debuted through Hight Kick! is just a thing happened not long ago, time passes very quickly." 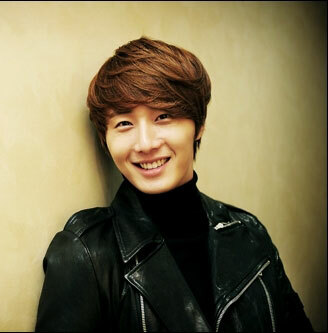 From the TV series "49 days" to "Flower Boy Ramyun Shop," Jung Il Woo does not relax and busy all the way, and currently he who is still in production team has started to consider the next project. He also said that if there is holiday he wants to go skiing, "Buddies is Lee Min Ho and Kim Beom, sometimes will go skiing with them, if have time still want to go together. But Kim Beom is filming Padam Padam now so don't know if he has time or not. He is the only one who turns into best friend while working, I want to treat him as my younger brother, he is so mature until does not match his age." And Lee Min Ho is also his special friend, "Lee Min Ho is a friend who can support each other, when I see him, I feel that I should work harder, how do you say that, it's a friend who stimulates me, although does not speak much when meet, but can fully feel each other's feelings." 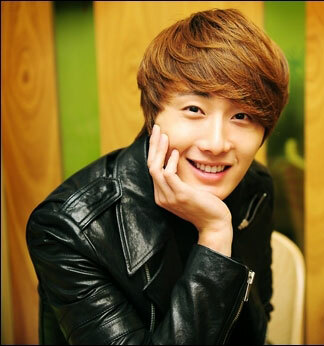 Finally, Jung Il Woo revealed that he will concentrate his career overseas in the coming period. Flower Boy Ramen Shop has sold with the highest price among cable TV series, and even holding a fan meet with 2000 fans in Japan. 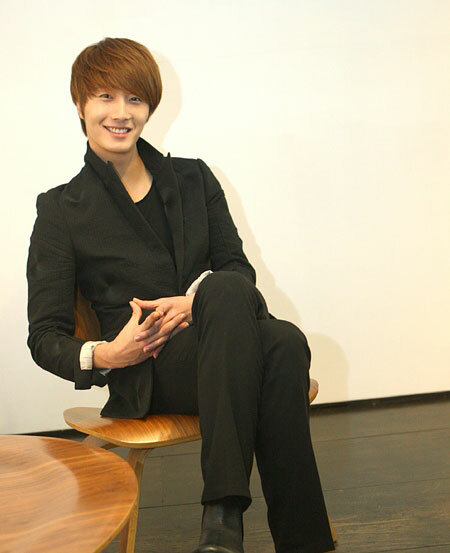 When reporter asked him if he has been the Hallyu star, Jung Il Woo laughed and said, "Korean wave star? No, no, now has a lot interactions with fans on Twitter, seeing fans abroad just feel amazing, want to make the distance between us closer with TV series."